Bhopal: Chief Minister Shivraj Singh Chouhan while meeting the Prime Minister Narendra Modi at New Delhi today has informed that the China has increased import tax to 25 percent on soybean being imported from America owing to the tension between the trade relations of China and America and hence China has not been able to fulfill its demand for soybean. India can take advantage of this situation. In such circumstances there is more possibility to export soybean of India to China. Chouhan has informed the Prime Minister that there is a demand of 11 crore 50 lakh M.T. soybean in China, whereas the production is One crore 50 lakh M.T. Keeping in view this situation China is importing about 10 crore M.T. soybean. Out of this over 50 percent of soybean is being imported from North America. Chouhan told the Prime Minister that Madhya Pradesh is in a position to export soybean to China as Madhya is a soybean producing state. Farmers of the state will get more price than the minimum support price and will get more profit. He informed that 5 percent import tax was imposed by the China earlier on soyameal (DOC), which is zero percent at present. Chouhan further informed that soybean DOC exported from India contains 46 proteins, which is more than the soybean DOC of other countries containing 41-42 percent proteins comparatively. 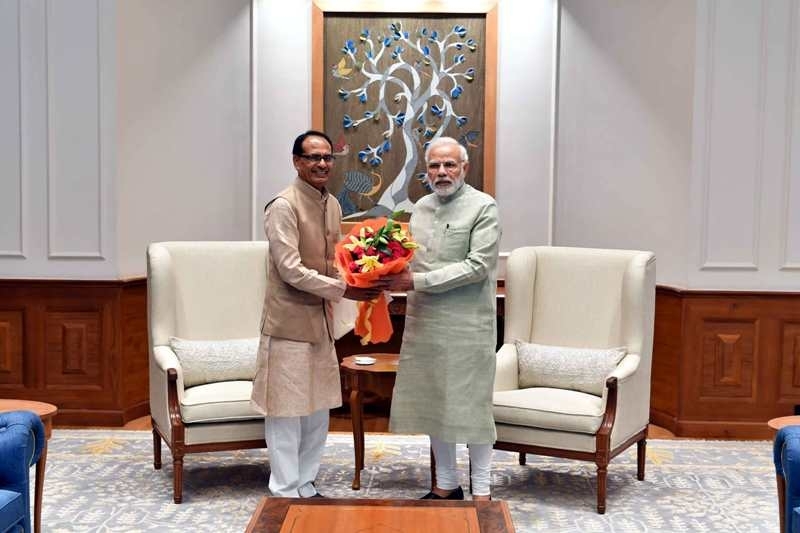 Chouhan urged the Prime Minister that immediate decision in this connection will help facilitating reasonable price to not only the farmers of the state but to all the soybean producing farmers of the country. 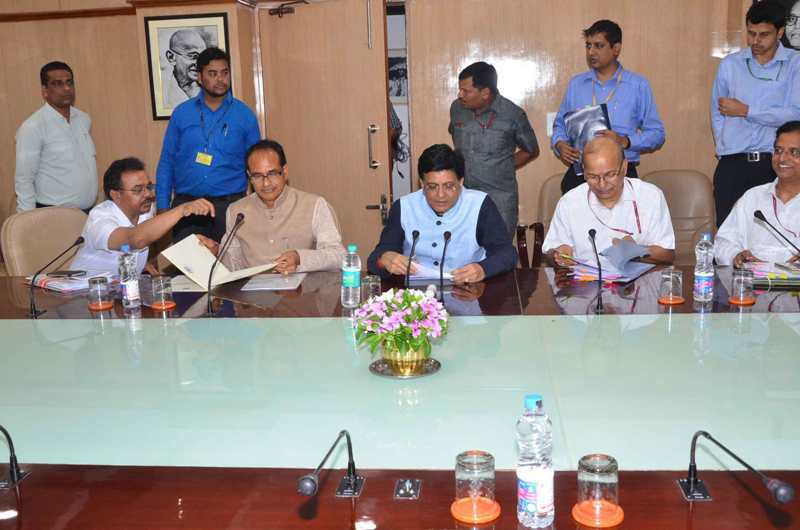 Chouhan also met Union Minister for Commerce Suresh Prabhu, Union Minister for Finance Piyush Goyal and Union Minister for Foreign Affairs Smt. Sushma Swaraj in connection to export of soybean and apprised them about the situation. Moreover Chouhan has informed the Prime Minister that the Jan Ashirvad Yatra will be started in the state from July 14, he will participate in yatra four days in a week. This yatra will culminate on the Birth Anniversary of Pt. Deendayal Upadhaya on September 25, 2018. Chouhan urged the Prime Minister Modi to participate at the culmination of Yatra. It may be mentioned that Yatra will be inaugurated by the Party President Amit Shah from Ujjain on July 14. Chief Minister Chouhan met the Union Finance Minister Piyush Goyal and informed him that due to the bumper production of gram, mustard and moong in the state, the state government has purchased it from the farmers at a Minimum Support Price. The state government has paid the expenses incurred on it from its own resources. But Nafed has not yet made the payment to the state government. Chouhan urged Nafed to make the payment soon. Chouhan also told him that the state has not got the state’s share on GST on time and urged for payment of state’s share soon. Besides he also demanded increase in the credit limit from the cooperative sector. 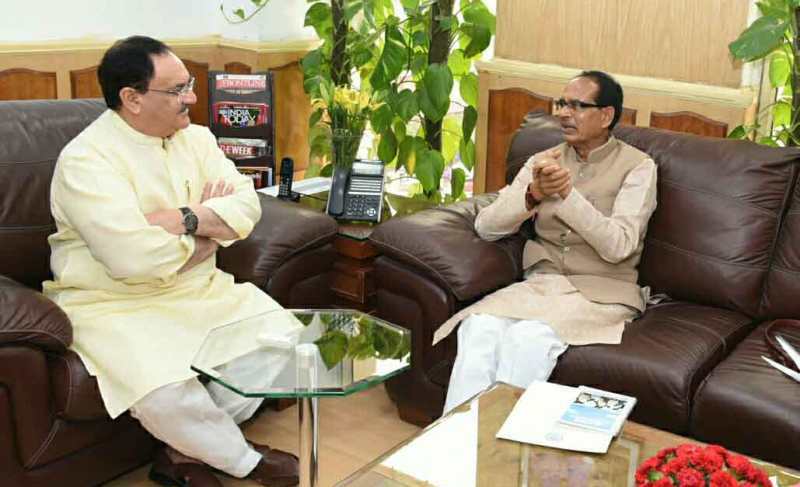 CM Chouhan met the Union Health and Family Welfare Minister J.P. Nadda and told him that the Medical Colleges in Ratlam, Vidisha and Khandwa are ready but could not be dedicated to the public due to objection raised by the Medical Council of India for some reasons. He urged that the objections raised by the Council should be redressed soon and colleges should commence. Apart from this Chouhan told that 300 awareness health centres will be started by the end of August in the state. 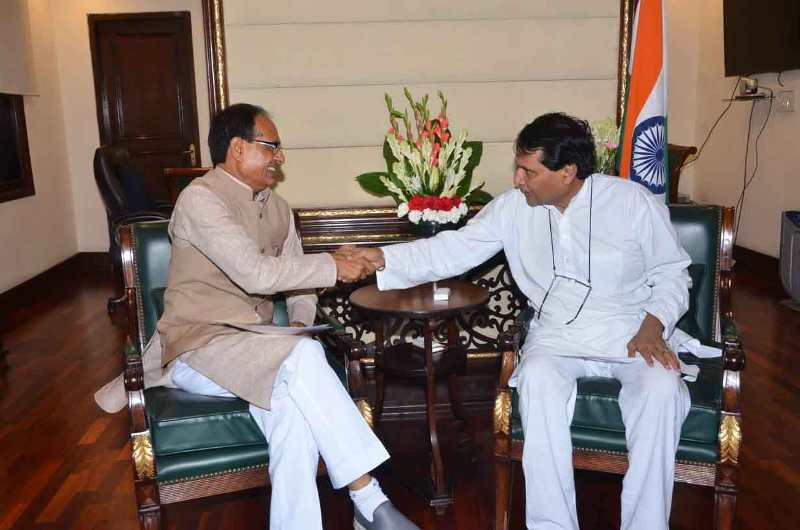 The Chief Minister met Union Commerce and Industry, Civil Aviation Minister Suresh Prabhu and held discussion on Basmati rice besides Soyabean, opening of logistic hub in the state, revision in air connectivity between Bhopal and Delhi and the opening of a Custom Clearance Centre at Indore.